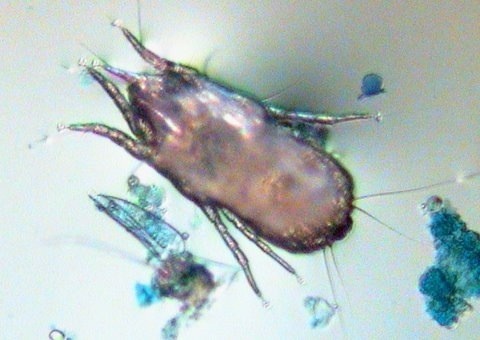 House dust mites used to be mange-like parasites and several of its modern allergens reflect the mite's former way of life. That was the message from recent research published by The University of Michigan. The most destructive of these allergens has the ability to cause the death of delicate cells protecting lungs and nasal passages. These findings throw a different light on the house dust mite. It is not a harmless scavenger living in our homes, but a 'turn-coat' that makes millions of people sick. The saying 'poor-little-mite' is no longer appropriate. House dust mites should not be welcomed to live indoors and be a risk to the health of mite-allergic patients, many of whom are developing children. The house dust mite lives in colonies, has no eyes, no respiratory system, is 75% water, cannot control it body temperature and can produce up to 20 droppings a day. All of which are loaded with active digestive enzymes .